Sometimes it takes more than one dance partner to get a big deal done. 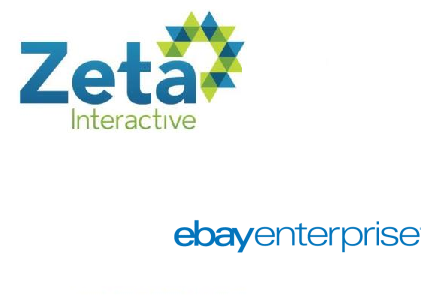 New York-based Zeta Interactive, a player in big data and analytics, has acquired the customer relationship management division of eBay Enterprise. This is part of a multiway transaction that saw the eBay company split up and sold largely to London’s Permira Funds and Sterling Partners, with Permira spinning out those assets to Magento Commerce. For its part, Zeta Interactive is not disclosing what it spent to acquire the CRM division of eBay Enterprise, based in Burlington, MA. Zeta did, however, dip into a $125 million funding round war chest raised in July to make the deal happen, says Steven Gerber, chief operating officer with the company. “One of the explicit uses of the proceeds was for us to make strategic acquisitions,” he says. Blackstone Group led that funding round. Zeta developed a software-as-a-service marketing platform that brands can use to find and grow their customers. The acquisition of the CRM piece of eBay Enterprise, which includes e-mail marketing and a hosted database, is intended to further enhance that service, Gerber says. Companies that Zeta works with come from the financial services, retail, insurance, and communications industries. The deal also expands Zeta’s geographic footprint in the US and abroad. Offices of the newly acquired division, which are spread across Colorado, New York, and Ohio, and overseas in Singapore and Britain, will remain open. “We’re keeping the majority of the team,” Gerber says. Zeta already has domestic offices in Boston, MA; Denver, CO; Detroit, MI; Silicon Valley; and Scottsdale, AZ; as well as in Britain and India.